Runs a PowerShell script inside of an ASP.net page. The runspace used in the ASP.NET script page will be reused for as long as the session is active. Variables set while running your script will be available throughout the session. 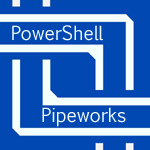 PowerShellV2 must be installed on the server, but no other special binaries are required. The script block to embed in the page. This will use the runScript function declared in the bootstrapper.